Geraldine M. “Shirley” Bieker, 92, Schoenchen, died Monday, March 18, 2019 after a long battle with Alzheimer’s at the Hays Good Samaritan Society. She was born June 28, 1926 on a farm near Liebenthal, the daughter of Aloys W. and Blanche C. (Herrman) Herrman. On February 23, 1974 she was united in marriage to Willard J. “Will” Bieker in Schoenchen. They celebrated 43 years of marriage before he preceded her in death on May 24, 2017. 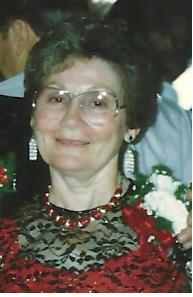 She was a homemaker and an excellent cook preparing meals for family and friends. Most remember Shirley’s Café in Schoenchen where she and her husband Willard cooked German food that was enjoyed by many from around the state. She was a member of St. Anthony Catholic Church, St. Anthony Altar Society, an extraordinary minister of Holy Communion, and a volunteer at the St. Anthony Hospital Auxiliary Gift Shop. She was a devout Catholic, often praying the rosary, enjoyed gardening and canning, fishing, kept an immaculate house, loved to sew making numerous quilts, was a farm girl at heart, and had great love for her family. Survivors include two sons; Bob Harvey and wife Dolly and Robert Rasmussen and wife Joanie, three daughters, Diane Hoar, Donna Campbell, and Janell Underwood, a brother; Art Herrman and wife Edna, two sisters; Tootsie Zimmerman and Ruby Bailey, twelve grandchildren; Ciarra Owens, Alyssa Underwood, Robert L. Rasmussen III, Bobbi Jo Harvey-Malcholz and husband Fred, Dwayne Campbell and wife Jenny, Gerarld Harvey, Jr., Lynna Campbell, Tammy Williams and husband Shawn, Dale Harvey and wife Teri, Dustin Harvey, Michelle Curington and husband Dan, and Heidi Harvey, 16 great grandchildren, and numerous nieces and nephews. She was preceded in death by her parents, her husband; Willard, a son; Gerald “Jerry” Harvey, two sisters; Lillian Roth and Dody Trotter, and a grandson, Michael Harvey.